You might recall that VMware has teamed up with LG to separate the "work" and "life" environments on your Android phone into two distinct, secure platforms, which has some pretty obvious benefits -- as more people want smartphones in their personal lives, IT departments can still manage the content on their work phones without necessitating two separate devices. Seriously, who wants to carry around two phones? (Don't answer that.) Anyhow, RIM's getting into the game with today's announcement of BlackBerry Balance at an enterprise-focused event in Boston, a tool that'll allow the computer nerds in your office to manage, wipe, and encrypt the work-related content on your BlackBerry while leaving your personal content unscathed. Of course, not everyone wants a BlackBerry as their personal smartphone -- but for those that do, this should make you feel a little more confident that the IT dude isn't going to spontaneously delete your mom's contact record. No word on availability just yet. 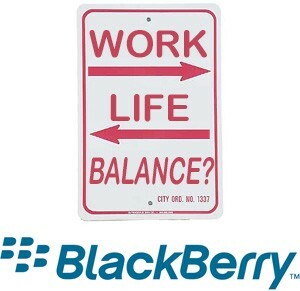 BlackBerry Balance announced, gives your phone a split personality originally appeared on Engadget on Thu, 13 Jan 2011 14:03:00 EDT. Please see our terms for use of feeds.